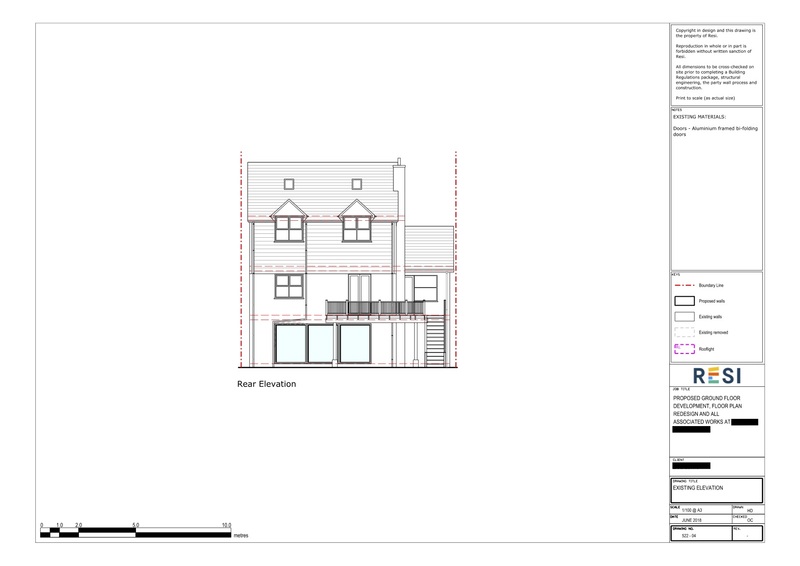 This three-storey house got a makeover when our architects at Resi redesigned their lower ground floor. The layout was transformed from a closed plan kitchen, utility room, and dining room, to a suave kitchen and living space... our client's very own bachelor pad! 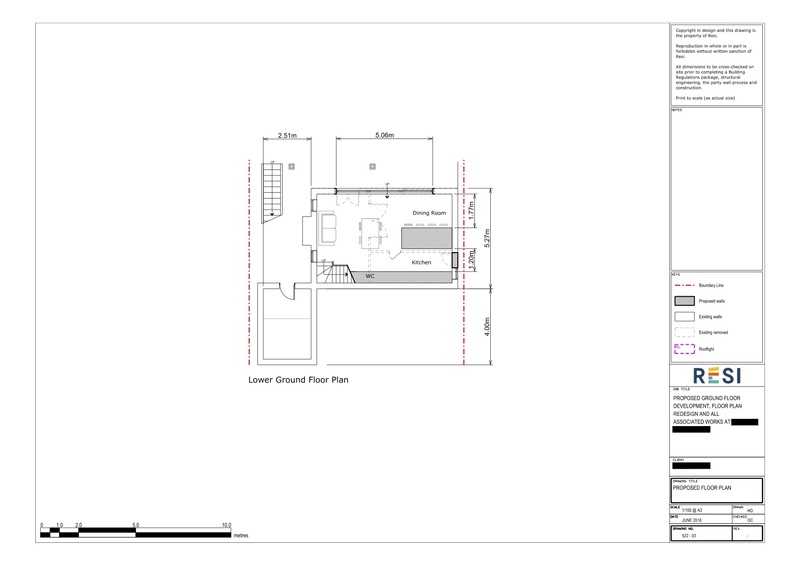 Our client aimed to carry out internal alterations to the garden level floor of their property, with the intention of creating an open plan kitchen, dining, and living space. This was all to be designed with a modern style in mind, with lots of natural light. I removed the three walls separating the existing rooms, in turn creating a large, open plan space. As this was a lower floor with no extension, skylights were not an option. So, I added bi-fold doors to the rear of the property, overlooking the garden, which would fill the room with natural light. A large central island was added into the middle of the space, which not only provided a nice spot for socialising, but broke up the layout of the open room.